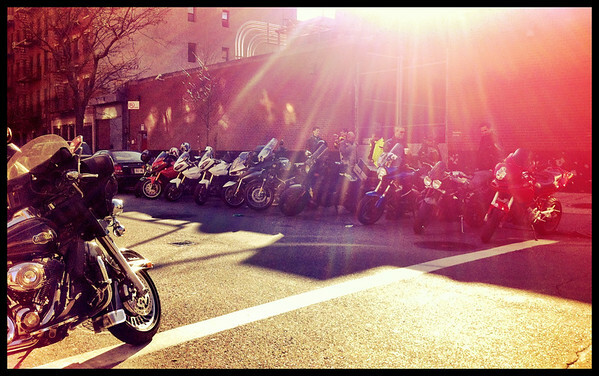 It looks like a Divine light is shining down on our motorcycles in this picture. There is something I love about the idea of that. You can never have too many angels watching your back. It makes me wonder if there are any halos hanging over the headlights on the bikes. Rachel I am right with you, there can never be too many angels watching over motorcyclists. Love the picture.